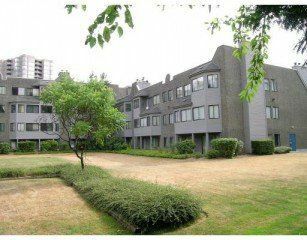 Top floor facing into courtyard, 2 bdrms, F/P, enclosed balcony and ensuite laun dry hookup. Updated 3 years ago. Secured underground parking. 1 cat allowed only . Rental at present allowed. All measurements are approximate.